We’ve reached the end of another week, which means it’s time for our Flashback Friday feature. This week we head back to 2015 and San Diego Comic Con. Here’s a little clip from one of the press round tables that David did. Well, we’ve reached the end of an exciting week of David news so let’s top it off with our Flashback Feature. This week we look back at 2012’s Comic Con as David and the rest of the cast of Grimm take part in a Q&A panel for Nerd HQ. We’ve reached the end of another week, which means it’s time for our Flashback Friday feature. This week we take a trip back to 2011’s San Diego Comic Con where David talks about his brand new show, Grimm. Hooray, it’s Flashback Friday time! This week we take a trip back to 2016 and San Diego Comic Con. Here’s a quick video, courtesy of Three If By Space, of one of David’s round table discussions. We’ve finally reached the end of the week again, so now it’s time for our Flashback Friday feature. This week we head back to 2015’s San Diego Comic Con, where David tells us what to expect from Grimm’s fifth season. It’s time for our Flashback Friday video! This week we head back to 2016’s San Diego Comic Con and a brief interview with Yael Tygiel. It’s that time of the week again, time for our flashback Friday feature. This week we head back to 2014 and San Diego Comic Con. Here’s a brief video from one of the press round tables. This weeks Flashback Friday takes us back to San Diego Comic Con 2013, as David talks briefly to Nerd HQ about his time at Comic Con. Enjoy. 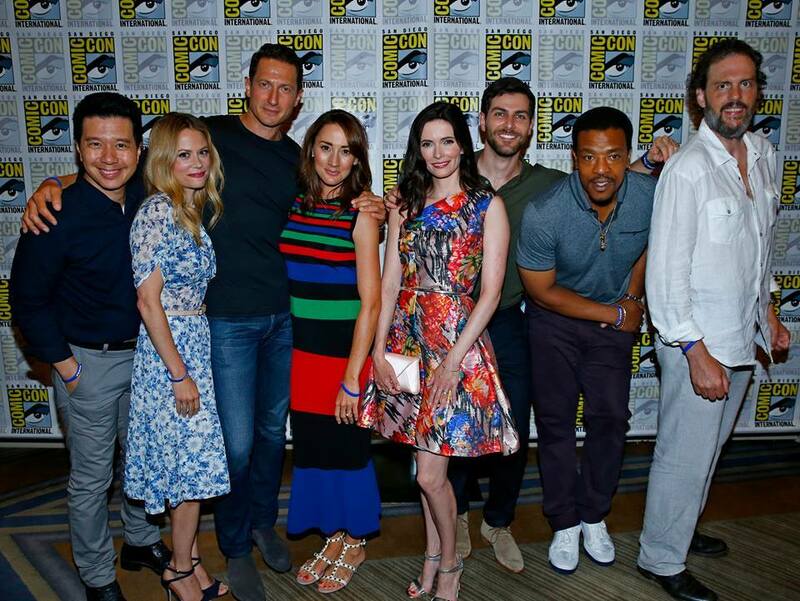 As you all know, yesterday was Grimm’s big day at San Diego Comic Con. Here’s a short round up of what can be found so far. We will continue to post any new pictures and interviews as and when they are available online. We will also post a link to the video of the panel interview once it becomes available. The cast took part in some interviews with a variety of media, which you can check out via the links below. We will add more once we find more interviews online. Don’t forget to check out our gallery for all the latest pictures from Comic Con 2016. For those of you who have not been lucky enough to get to Comic Con this year, the SyFy channel will be bringing the con to your own living rooms and speaking to David in their Con round up. David will be appearing on the show on Saturday 23rd July at 8pm ET/PT. So, tune in to find out what David has to say about Comic Con and the upcoming sixth season of Grimm. Big thanks to Sue at Grimm International for the heads up.